Content includes additional character, adventure scenario, and stage. A physical edition of Travis Strikes Again: No More Heroes will be released in North America and Europe, developer Grasshopper Manufacture confirmed to Gematsu. While Grasshopper Manufacture will self-publish Travis Strikes Again: No More Heroes, Nintendo will distribute the physical edition. 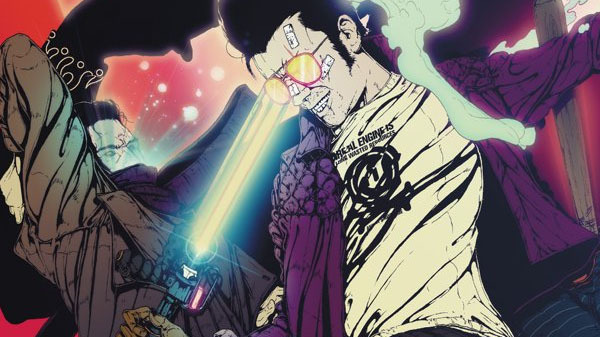 The physical edition will include the Travis Strikes Again: No More Heroes Season Pass. While Grasshopper Manufacture could not speak to the specific contents of the Season Pass at this time, it did confirm to Gematsu that it will include an content such as an additional character, adventure scenario, and stage. More information will be announced at a later date. Travis Strikes Again: No More Heroes is due out for Switch worldwide on January 18, 2019.